Gwen Stefani and Blake Shelton are going to announce their engagement anytime now as per the report. The couple will then walk down the aisle after three years of being together. 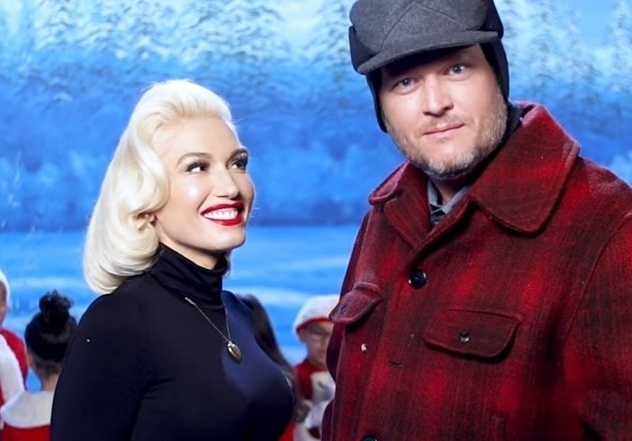 According to Us Weekly, Gwen Stefani and Blake Shelton will finally bring their relationship to the next level and the latter will be proposing soon to his ladylove. The magazine even told everyone to keep an eye for the engagement ring as Gavin Rossdale’s ex-wife could be wearing one in a little while. “Blake has always wanted to marry Gwen, but she’s always been extremely cautious because she has three kids to be mindful of,” a source supposedly told the publication. The so-called source added that when Gwen Stefani and Blake Shelton get married, the former’s three sons - Apollo, Zuma, and Kingston are all going to be part of the entourage and they will play major roles in the wedding ceremony. However, this story looks suspicious because there is no real proof to support this claim. In Touch Weekly also reported about Gwen Stefani and Blake Shelton’s alleged upcoming engagement. The magazine clearly agrees with Us Weekly when it picked up the story since it stated the same thing. On the other hand, Gossip Cop also published the same report but it reached out to the concern people so it was able to confirm if the Gwen Stefani – Blake Shelton engagement is really happening soon. In short, it did some fact-checking first before writing and it concluded that the articles were just fabricated stories. GC checked with Stefani’s representative and it was told that the rumor was false. Moreover, the claims were baseless and the tipster itself is not reliable after learning that it cannot be traced. It is even possible that there was no tipster at all but they were just made-up to be able to create the article. Lastly, Gwen Stefani already denied that she and Blake Shelton are engaged and firmly stated that it is not happening anytime soon either. The singer said that they are just enjoying the moment and will also come to that point but it will not be anytime soon.